Ever since Apple first introduced the Lightning adapter, much attention has been given to the mysterious chip used inside every Lightning Cable. Some speculated that the chip’s purpose was to merely “flip” the path the digital signals take from pin topin depending upon which orientation he cable was plugged into a device, while others have insisted that it is, in fact, a security chip meant to thwart counterfeit Lightning accessory makers. What’s the truth? It looks like the chip inside every Lightning cable is a security chip, but it’s a simple one, less advanced even than the security chips you would find in today’s printer cartridges! And since those can be faked, so can Lightning. The team over at Chipworks have examined the Lightning cable. There are actually four simple chips inside each Lightning cable, but the one we’re interested in is the TI BQ2025, a chip that Texas Instruments doesn’t publish anything about. It is actually very interesting that we may have found a security device in this cable. Previously, we have analyzed security devices regarding medical printer media (armbands), printer cartridges, flash drive memory, batteries, and smart cards, but this is the first secure cable we have seen. The security does not come close to the herculean approaches that are used in (for example) today’s printer cartridges, but resembles the level of effort that cartridge manufacturers used to implement in the olden days. This is likely a calculated decision by Apple to keep costs to a minimum knowing that their core customer base prefers to shop in Apple stores or for brand name peripherals. In these places, piracy is not a concern. In other words, at this time the security is “just enough.” With future generations of Apple and non-Apple products, we may begin to see even stronger security and control if the market forces merit it. This all means we should start seeing cheaper, third-party Lightning cables sooner rather than later. The Lightning cable is by no means unhackable, and doesn’t even use sophisticated security: it’s unique for a cable just because it features security at all. 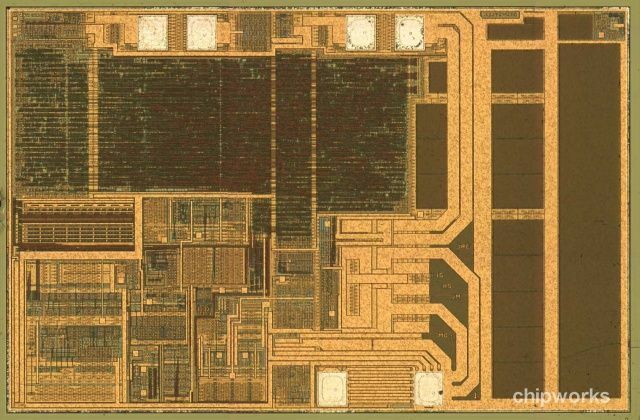 The usual suspects in China and Hong Kong, though, should be able to figure out a way to counterfeit the TI BQ2025 chip. It’s just a matter of time.